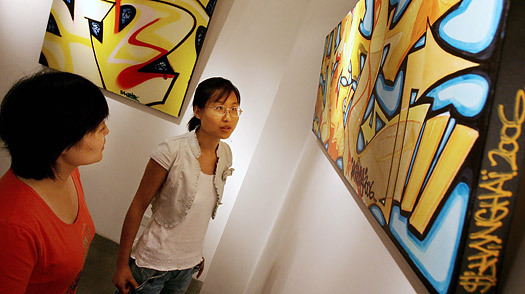 Chinese contemporary art now sells at international auctions for gazillions of dollars. Derivative stuff is everywhere, so it's all the more important to head to the nerve center of Shanghai's buzzing art scene at Moganshan Road. A collection of once-deserted warehouses near Suzhou Creek, Moganshan now houses Shanghai's best contemporary art galleries. Best of all, several top artists, like Zhou Tiehai and Ding Yi, keep their studios here, so if you're lucky you can wander in and see the creative process unfold in real time. One of the city's oldest and most respected galleries is at 50 Moganshan, ShanghART, which represents the cream of the art world and is run by Swiss native Lorenz Helbling.